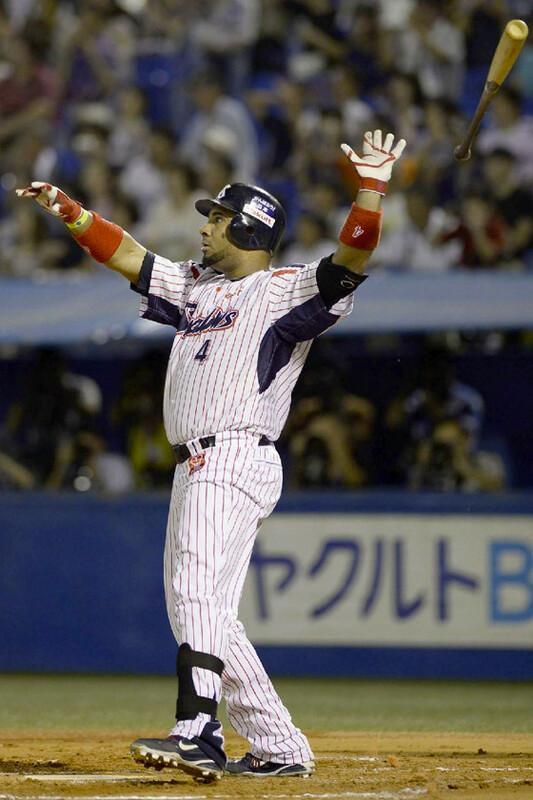 Daisuke Matsuzaka's Japan-exclusive Nike cleats highlight this week's MLB Watch. 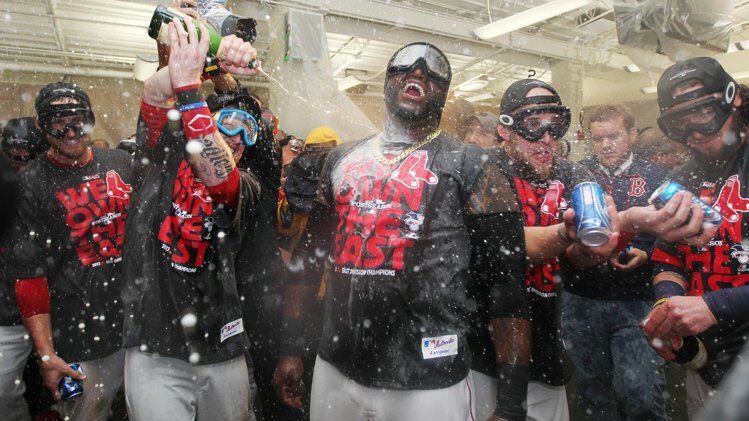 Big Papi and the Boston Red Sox celebrate after winning the AL East, their first division title since 2007. The SC MLB Watch continues this week with a look at footwear from around the league, ranging from rare player exclusive cleats to pre-game trainers. Week 25 is highlighted by Daisuke Matsuzaka's Japan-exclusive Nike cleats and another look at CC Sabathia's "Concord" Jordan 11 PE. 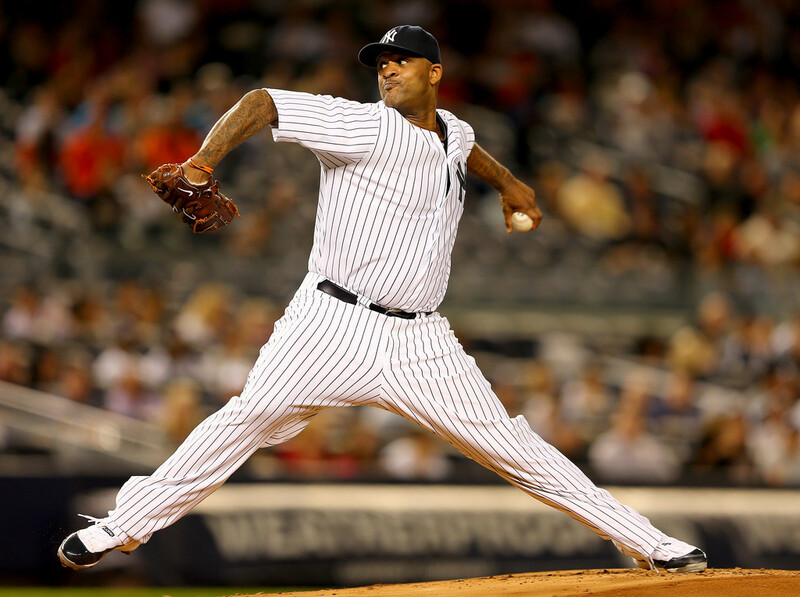 It's not an MLB Watch post without a CC Sabathia Jordan PE sighting. Carsten Charles once again took the mound in his "Concord" Jordan 11 PE cleats. 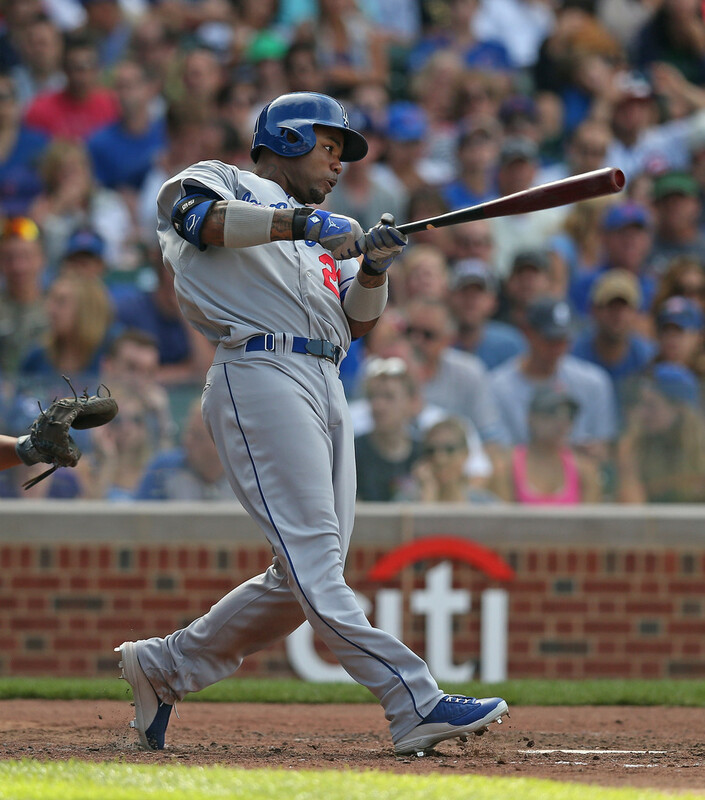 Carl Crawford helped the Dodgers clinch the NL West in blue and white Air Jordan 13 PE cleats. 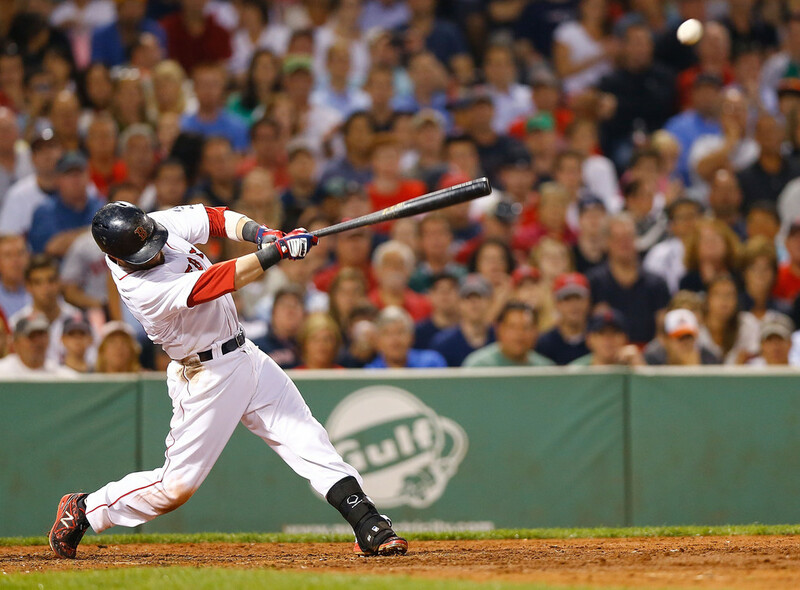 Dustin Pedroia put on another laser show in his New Balance MB3000 PE cleats. 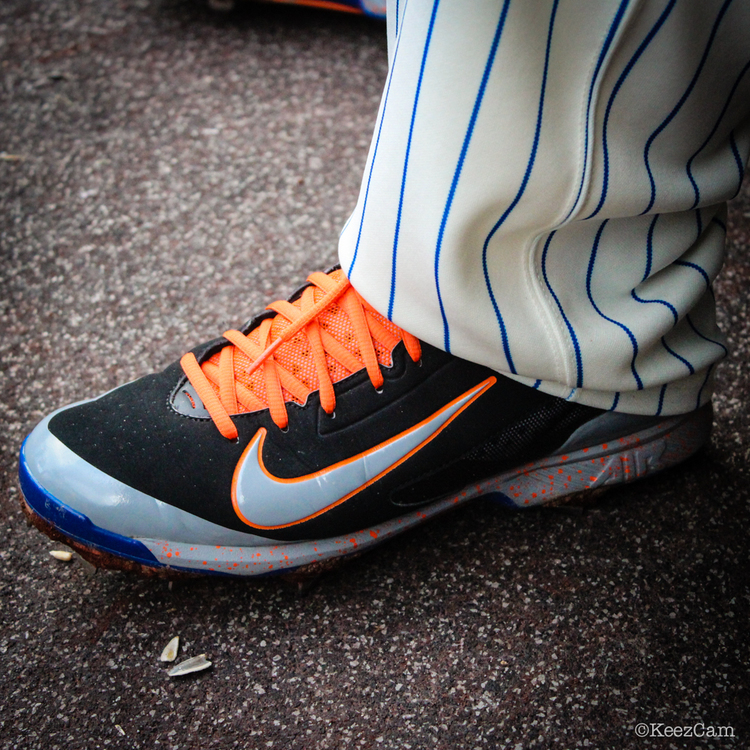 The KeezCam snapped a close-up of David Wright's new Nike Air Huarache Pro PE. 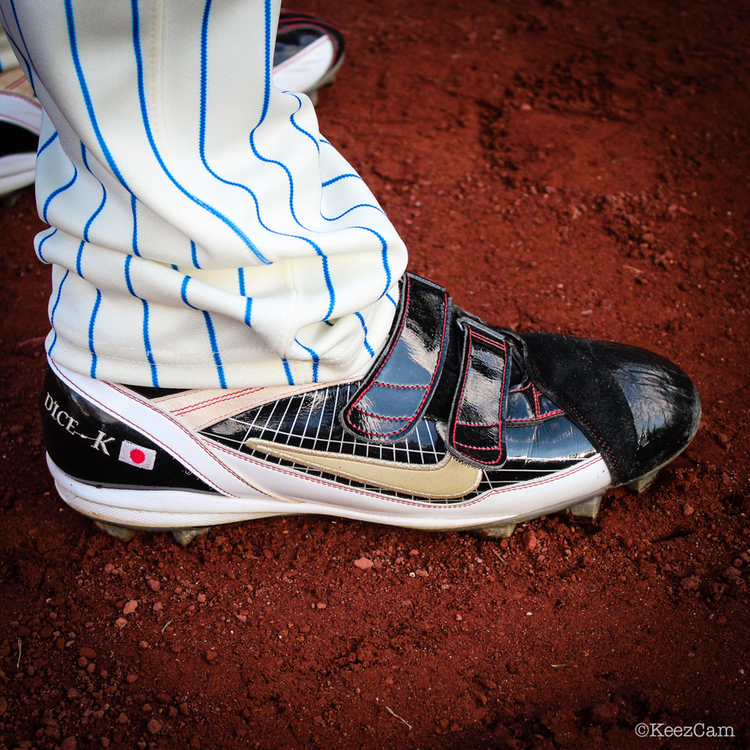 Daisuke Matsuzaka showed off his awesome Japan-exclusive Nike cleats. 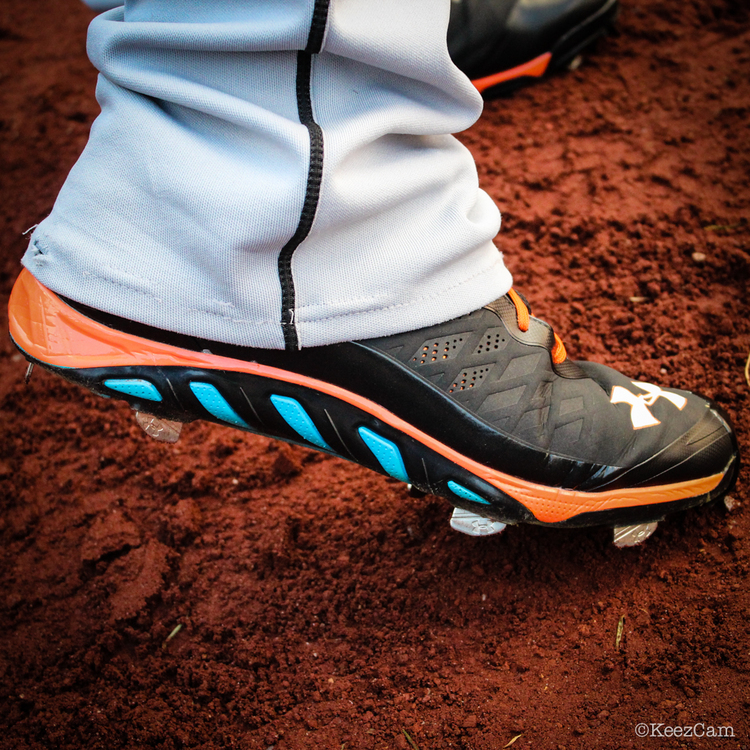 Jose Fernandez continued his amazing rookie campaign in the Under Armour Spine Low. 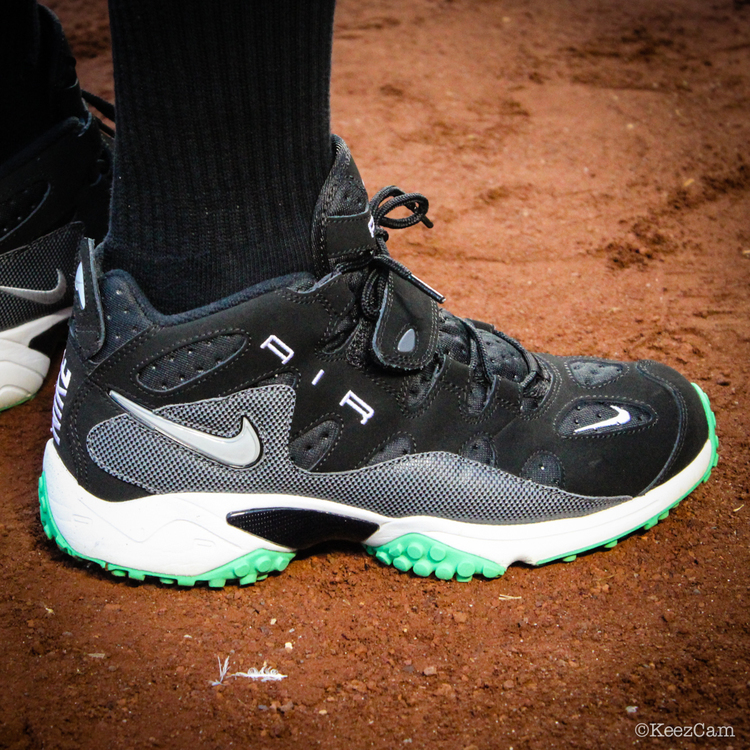 Beloved Giants second baseman Marco Scutaro warmed up in the retro Nike Turf Raider. 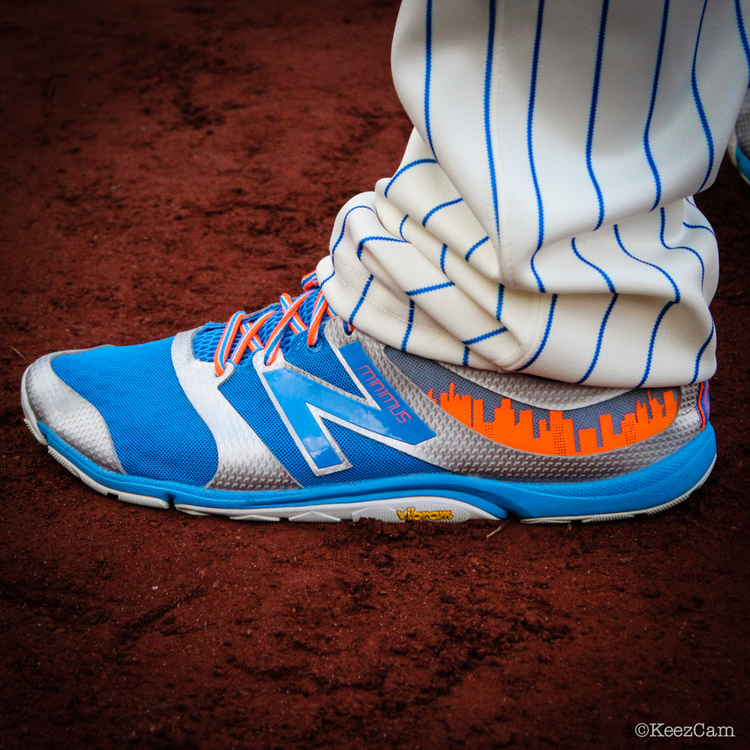 Mets reliever David Aardsma wore the "All-Star" New Balance Minimus 20v3 trainer. 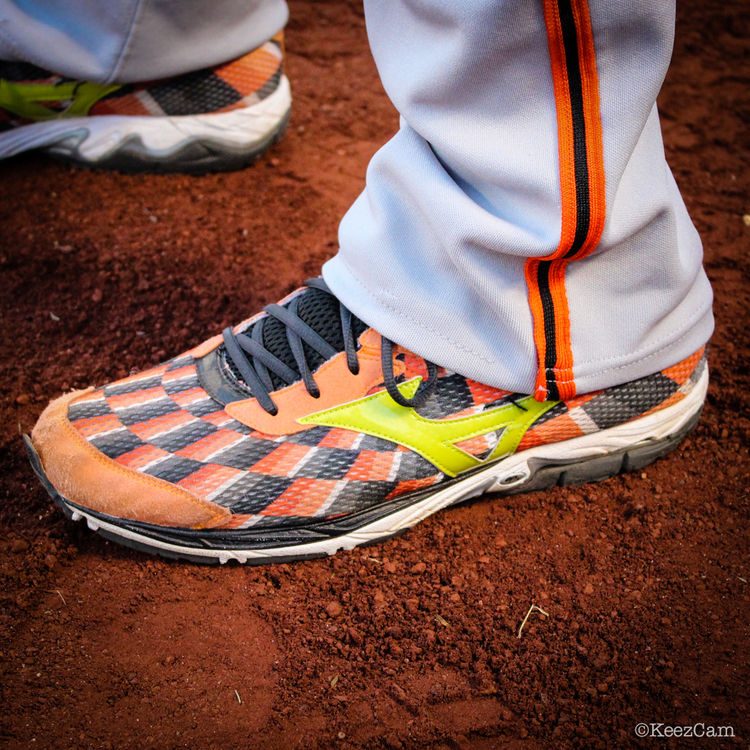 Giants star Matt Cain got his running in wearing the Mizuno Wave Elixir 8. 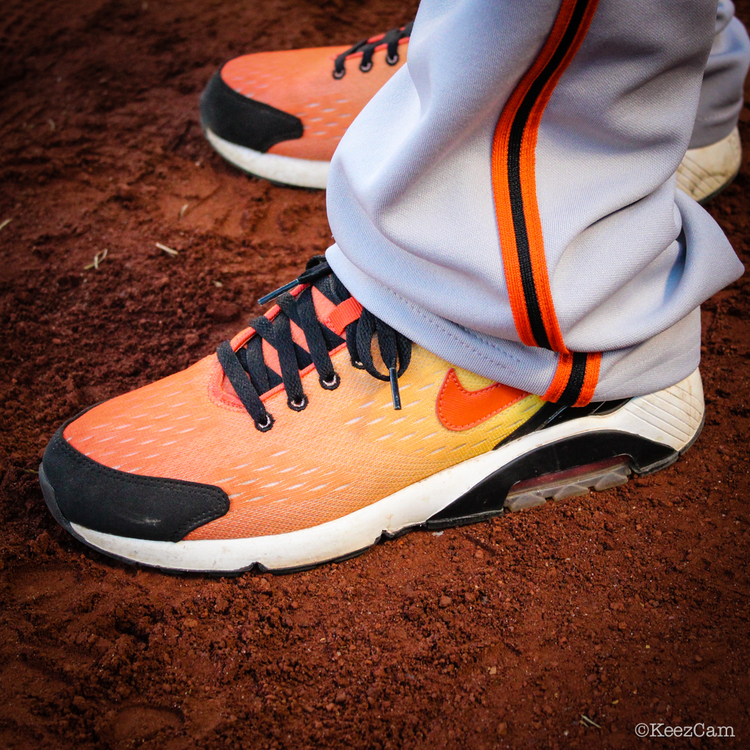 Fellow Giants pitcher Ryan Vogelsong stepped onto the field in the "Sunset Pack" Nike Air 180 EM. 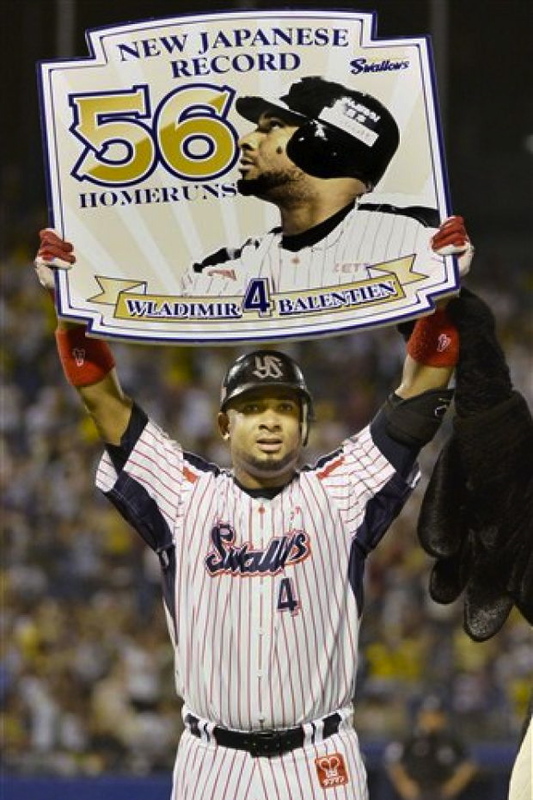 Former Mariners outfielder Wladimir Balentien, now with the Tokyo Yakult Swallows, broke the NPB's single season record for home runs in the Nike Air Max MVP Elite.